Feed Your Fiction Addiction and It Starts At Midnight host the 2017 Discussion Challenge. 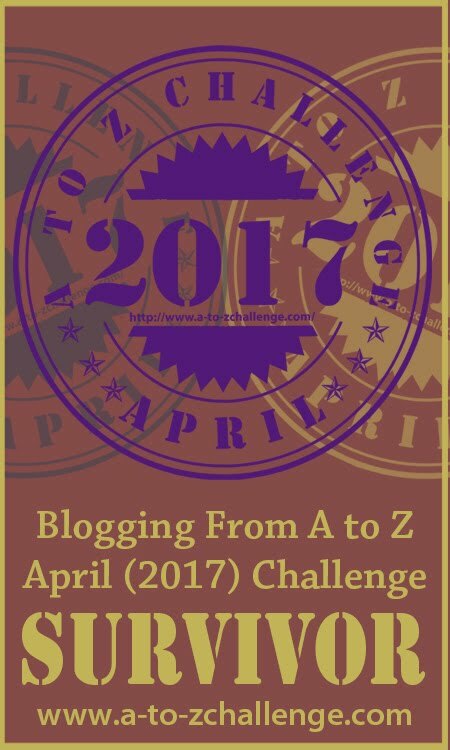 I spent April doing the Blogging from A to Z Challenge. Every April, hundreds of bloggers commit to blogging for at least 26 days of the month. Each post starts with a different letter of the alphabet. Most people pick a theme. My theme was bookish memories, and guess what? I survived the challenge! I blogged for all 30 days of April. What happens after the challenge? A reflections post. That’s the thing you’re skimming right now with a half-interested expression on your face. So, let’s reflect. What worked? What didn’t? And, most importantly, what did I learn from 30 days of blogging? Comment failure is inevitable. The first thing I did every morning in April was reply to comments on my previous day’s post. Then I attempted to comment back. Then I got on the A to Z blog and started clicking links. 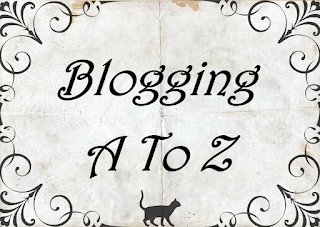 Then I got on Bloglovin’ and tried to keep up with all my non-A to Z blogger friends. I usually got exhausted and quit long before I did all the commenting I wanted to do. For me, commenting takes a long time. There’s no way to win at it. I always wish I could do more. Blogging every day makes commenting very difficult. There was no hope of keeping up. Protip: It’s easier to comment back if you make your blog stupidly simple to find. People who include a clickable link with their comment are my best friends. Blogging is bigger than books. It’s no secret that I have a book obsession. Most of the blogs I follow are about books. This challenge taught me that you can blog about anything. I found lifestyle blogs, history blogs, travel blogs, parenting blogs, teaching blogs, random-fact blogs, genealogy blogs, religion blogs, art blogs, technology blogs. There are so many blogs out there. Some of the non-bookish ones were *gasp* surprisingly cool. I may need to expand my blog-reading horizons. Honesty is the most challenging policy. I wanted this challenge to be a challenge. In the A to Z posts, I challenged myself to be more creative and more open than usual. I wrote about school, bullying, depression, and being “Special.” Those things are usually outside the scope of this blog, but I don’t think they’re completely irrelevant. My past influences the types of stories that I’m drawn to. It is very difficult to bare my soul to strangers on the Internet, though. It doesn't come naturally to me. Utterly clueless since 2005. 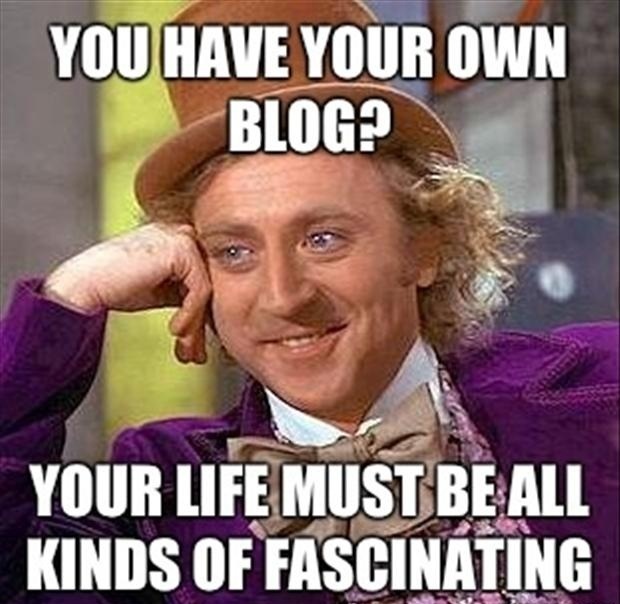 I’ve been blogging since 2005, and I still have no idea how it works. What makes one post get more views than another? I have no idea. Is it the graphics? The title? The teaser I put on Twitter? The number of shares? The date? Something that I don’t understand about search engines? Why is blogging so mysterious? I still have so much to learn. It didn’t kill me, so let’s do it again. I’m thinking about themes for next year’s A to Z challenge. I’d like to do something educational that highlights #OwnVoices books, but I don’t want it to be too educational. The goal of a blog post is to start a conversation. Nobody’s going to converse if they’re all asleep from boredom. Good thing I have a year to ponder this. Do you post on your blog every day? If you did the A to Z challenge, how did it go for you? If you’re doing it next year, do you already know your theme? Would you ever consider becoming a daily blogger? If you are a daily blogger, TELL ME YOUR SECRETS! There is no way I could blog every day. It is so much work!! Plus like you said I would never have time to comment and reply and all that stuff. Props to those who do it!! I really enjoyed your posts and can't wait t see what you do next year!! Thanks! The commenting was intense. I think I would have had to comment all day every day to keep up. No, I don't post everyday. I have two blogs and generally post 1-2 times a week on both (one is more professional and for work, the other is Sagecoveredhills, which is for fun! Good work on the A-Z! Thanks! I try to post 3-5 times a week. It’s a lot of work, but I’m not overwhelmed by it. I'm really interested to hear about the interesting non-bookish blogs you found if you kept a list! I wanted to include a list in the post, but I couldn’t get it done in time. Oops. The person who commented above you—Sage—has a nice blog. His A to Z posts were about constellations. I learned a lot. I like to blog daily for the most part though on days where I can't be bothered I do that. We're having a warm spell which makes me sluggish and I'm behind on everything right now! I wouldn't have time to follow a lot of non book blogs...unless a found a few devoted to Game of Thrones! I currently follow 1,101 blogs on Bloglovin’. I think I need an intervention . . .
My co-blogger and I are currently posting every day, but it definitely helps that there are two of us! And I love to schedule ahead so I don't have to worry about the blog every day! Having a co-blogger would help. I could probably post every day if someone else did half of the work. 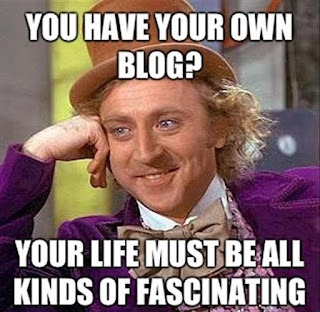 However, I’m such a control freak that I’m betting no one would want to blog with me. The A-Z challenge does look like a lot of fun though, I may do it one of these times. I don’t blog every day, but I also rely on my scheduled posts. Sometimes, I don’t have time to get posts written. If I ever ran out of scheduled posts, I’d be in trouble. It's still amazing to me that you did this EVERY day in April! I used to blog every single day and it wore me out. I totally agree with your point about not being able to comment back when you're constantly blogging. It's hard not to be able to get to everything. :/ I'm also with you on being mystified about how this all works! XD Good luck next year! Thanks! Blogging every day was hard. Some days I Did. Not. Want. To. It was exhausting. I used to blog every day, but then somewhere along the line I realized that I was running myself ragged to do so and it wasn't worth it. Now my blogging varies---it just depends on what's going on that week. I applaud you for making the commitment and following through on it! Thanks for marathon reading my A to Z posts. I worked hard on those, so I really appreciate it! I do not blog everyday. I have tried to do daily blog challenges in the past and failed. This year I succeeded at A to Z and am pleased with the results. I stopped by here a few times and enjoyed what you posted. If you figure out how to blog every day and comment to the extent you want please let us know so we can try the same approach. If I’m going to blog every day and get all the commenting done, I’m going to need to make the day longer than 24 hours and consume a lot more caffeine. I don’t think it’s possible. 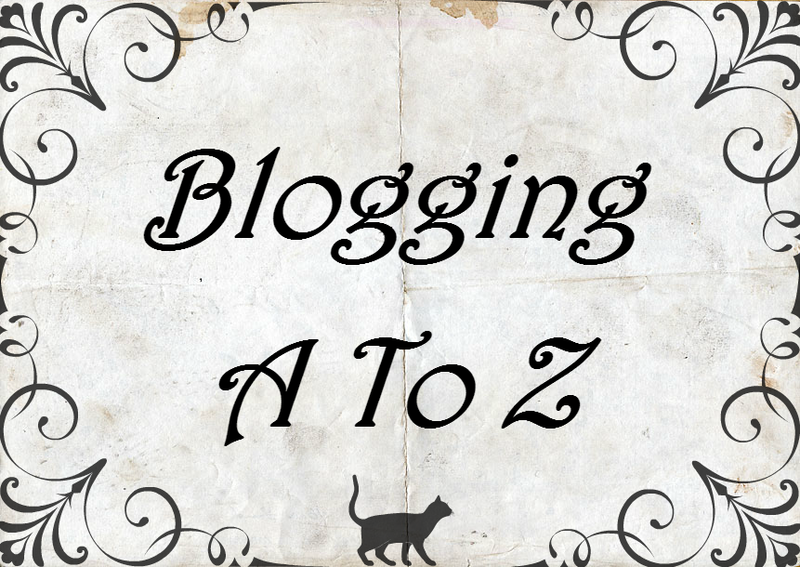 I'm not a daily blogger and that's why I took the a-z challenge. I think not having a theme is a challenge in itself which is why I may resort to doing a theme next year. I like your book-related theme. I honestly like any book-related theme because books. I enjoyed reading about your childhood and I enjoyed your writing style, it makes me laugh and wonder and laugh a little more. I don't know how those daily bloggers do it. I can hardly think up a post without taking a lot of time and meandering about whether it is good enough to post. & commenting? I think if you have the patience than commenting is easy but it really is not easy when there are so many blogs and so little time. YES! So many blogs, so little time. Amazing post! I have been blogging for like 3 years and still everyday feel new to me and I still have no idea what I am doing and what it is all about. This A to Z discussion sounds really interesting and I would definitely try it out. Although I already know it would be really difficult to post everyday, but totally worth the try. Thanks! 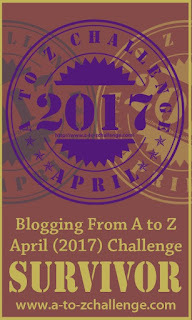 The A to Z Challenge starts again on April 1, 2018. I hope you can participate. It was a challenging month. I’m back to posting 3-5 times a week. That seems to work best for my own sanity. I come pretty close to blogging every day. I usually blog at least 6 days a week and sometimes post on all 7 days. It is a lot of work and I think the hardest part is keeping up with the commenting. It takes so much time but I do enjoy it. When I feel like I need a break, I take one...I am sure that nobody really misses me too much when I do. I really enjoyed your A to Z challenge and look forward to what you come up with next year. I admire all you A to Z people. That is quite a challenge. 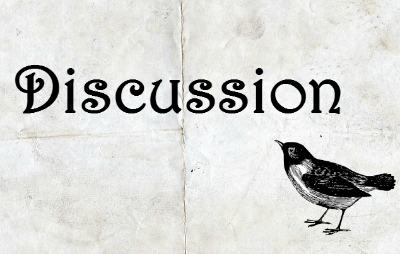 I worry about discussion posts, because I worry that I will be too honest. I don't post every day NO WAY! BUT I do know what you mean. I BLOG every day because I'm either drafting a post, replying to comments or visiting and commenting. NOPE there is NEVER enough time for all of that and WHAT ABOUT READING?? OMG! Hi AJ - you've got some varied comments ... I started blogging every day, then once I had some followers who always came by I relaxed and eased off ... I am now very random blogger - one is meant to schedule, but I'm not a good rule follower ... I try and conform! It is hard work in April - hence I don't do so much the rest of the time ... but I do comment back - an essential ... hence the need to ease off for the rest of the year. I'm debating doing the A-Z next year ... we'll see - trouble is I probably could write for Africa and that's not an easy thing to say!! or do for that matter. I admire your dedication in following through on this challenge. And yes daily blogging will never be for me either, it's just too much hard work! It's so interesting to see what you learnt though.